MAC released the Dita Von Teese Lipstick last month to celebrate the launch of the Burlesque beauty's new book - Your Beauty Mark. I quite like Dita Von Teese and I really like MAC lipsticks so I accidentally ordered it just before Christmas in an eggnog-induced moment of compulsion. 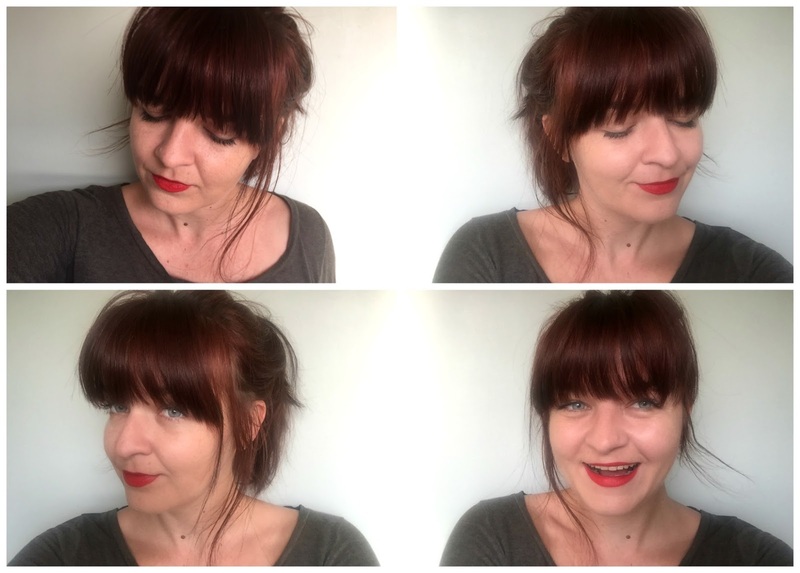 The lipstick is a vivid, bold, beautiful red that pretty much screams Pin-Up Girl and is basically a lot of fun to wear. A matte formula, the lipstick stays on and lasts pretty well - though not as well as my beloved Ruby Woo for some reason. That stuff just does not budge. I wore Von Teese to a wedding on New Years Eve and it made it through numerous glasses of bubbly, three courses, two gin and tonics and a coffee. It wasn't until the late night coronation chicken sandwiches that I felt the need to reapply. In other words, it has pretty good staying power. The MAC Dita Von Teese lipstick is that little bit more special than your average lippy thanks to the addition of Dita's signature debossed on the bullet and printed on the tube. The lipstick is sold out but is probably floating around on ebay somewhere at a much dearer price than the original £17.